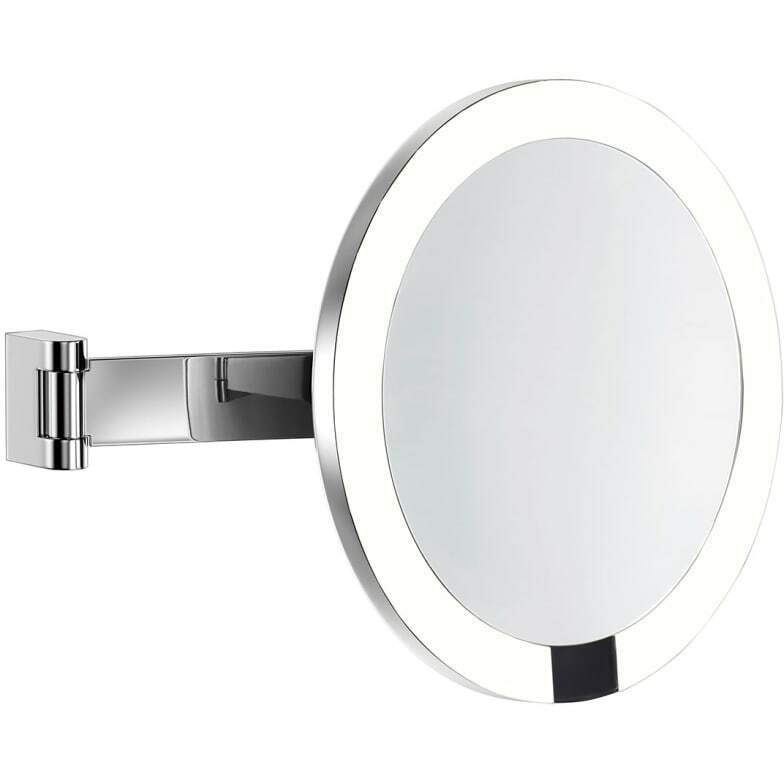 Battery-powered, illuminated cosmetic mirror with swivel arm for wall mounting. Battery powered mirror that lights automatically as your face approaches and turns off as you step away. Acrylic edge LED lighting system that bathes the face in a warm amber glow. Fully adjustable single arm 3x minimalist mirror is secured by a reinforced pivot joint. Do you have a question about "LED Interface (wall mirror)"? How can we contact you?